Waterfront paradise! 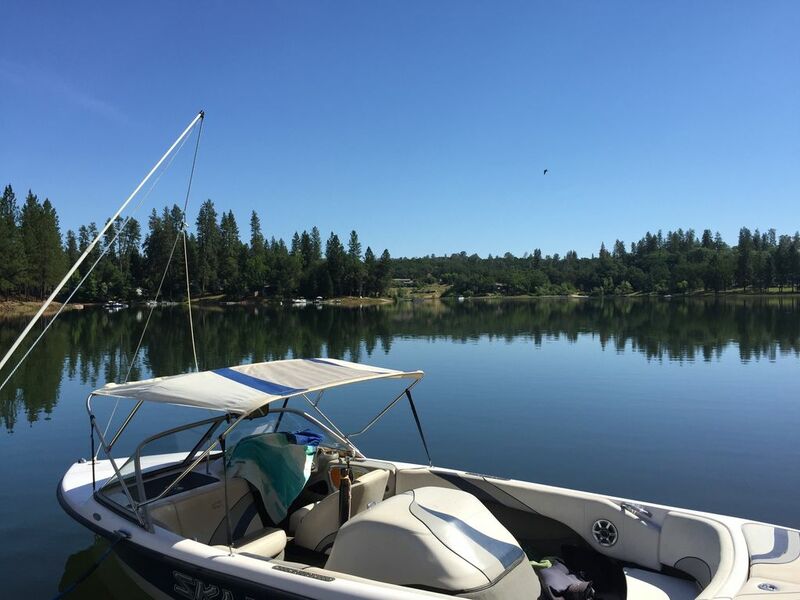 Come experience this private lake! Approximately 500 acres. No public access. No campgrounds. Waterski the buoy course and catch glass. Wake board and Wake surf all day!!! Jetski? Sure why not! Fishing? Glad you asked...Trout and Bass abound! Come make memories at our Lake Front Home! Boat dock, kayaks and paddle boards provided. Home is approximately 3,500 square feet. Large upper deck with seating and BBQ, great views! Down by the water's edge large flat entertaining area, complete with BBQ and seating. Come enjoy our special "secret" lake. Fish, Ski, Wakeboard or just relax! If you get up early enough you may see our resident Otters! Make memories that will last a life time! Full Gym in home as well. Well behaved dogs welcome. Property is fenced. Lake Combie is located the town of Meadow Vista. Approximately 2 minutes East of Auburn, just off Interstate 80.